You don’t have to be a news junkie to know that Aussie dairy farmers have had it tough lately. And it’s not just our drought-prone land that is giving them a hard time, but the David and Goliath battles that they’ve faced to get a fair price for their milk. With many of their struggles, particularly with the big supermarket chains, being aired publicly over recent years, this month the Federal Government introduced a draft mandatory dairy code of conduct to improve farmers’ bargaining power and help balance the market between dairy farmers and processors. While it’s yet to be seen whether initiatives like this code will restore healthy competition for our dairy industry, some farmers, like Timboon’s Tim Marwood, have begun working hard to take their future into their own hands. In 1999, third-generation dairy farmer Tim decided to start making ice cream to guarantee himself a good price for his milk. 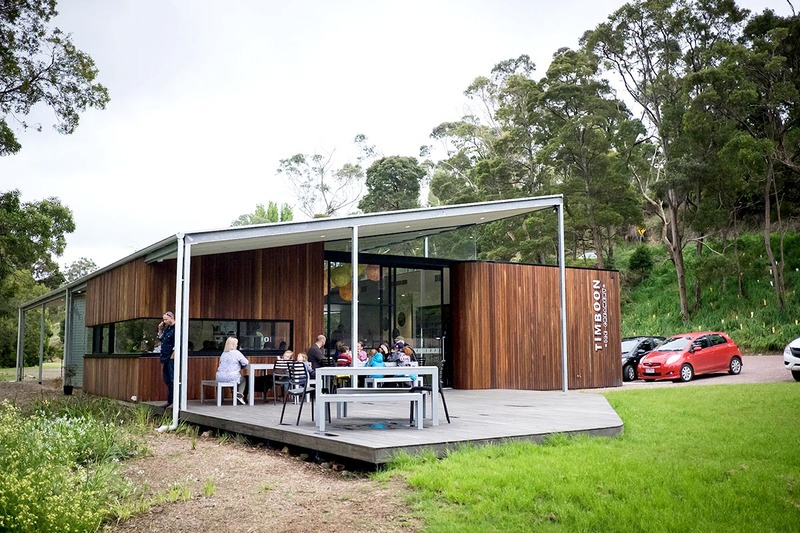 Fast forward to 2019 and Timboon Fine Ice Cream is one of the feature stops along the Great Ocean Road 12 Apostles Gourmet Trail, welcoming thousands of visitors year-round. We caught up with Tim to get some insights into how he turned his family’s dairy farm into a booming regional business. We established Timboon Fine Ice Cream about 18 years ago. Adding value to our family dairy operation was the key motivational factor in exploring and developing the business. Being a third-generation dairy farmer, I have always had a real connection to the land, and my family before me were always looking at new ways to progress the farm and introduce progressive practices to evolve. Dairy farmers across the country constantly battle to get a fair price for their produce, so I knew we needed to do something different that would guarantee us a decent price for our milk. How big are your operations now? 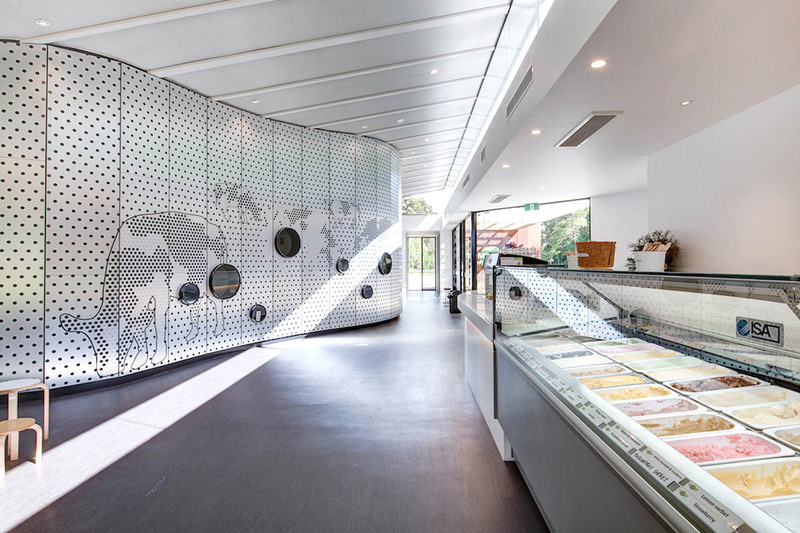 We developed a purpose-built ice creamery in Timboon three years ago, it’s a great space for our customers to enjoy their ice cream treats or buy take-away packs. We also process wholesale orders and have started running an in-house Sundae School program where we educate anyone who is interested (mainly school groups and kids parties) on the history of ice cream, how it’s made, the importance of dairy farms and farming practices, as well as giving them some fun facts and tastings. We also have four mobile ice cream vans that we use for events, like weddings, fetes and festivals across Victoria and South Australia. We are managing up to 30 employees during our peak summer period. Tell us about some of the unique challenges you’ve faced being a regional small business. One of the hardest things about having a regionally located operation, particularly if it’s a shopfront, is letting people know you’re there. We’re about 17 km from Port Campbell and the Great Ocean Road, so we’ve had to be creative to capitalise on the booming tourism that this part of the world attracts, especially during the summer months. I worked with about 12 other food producers in the local area to create the Great Ocean Road 12 Apostles Gourmet Trail experience, where we provide a map and information on where to go for a taste of the best produce and food experiences. When you provide your customer with a really great experience, they become your marketers, whether it’s online or by word of mouth, and that’s what a lot of people go by when they’re taking a road trip or holiday down the coast. What sort of technology do you use to keep your business running smoothly? We started using Square as our payments system about two years when we switched over from one of the traditional eftpos machines that was a bit slow and clunky. In comparison, Square is a really nimble system that is easy to use and train staff on, which is very helpful for a business with seasonal workers. Using a digital payments system streamlines our business because it means we can take payments everywhere (in-store, on the go, at events, and through our website) and all revenue goes through to one place, which makes it really easy to track sales and inventory. We also use social media to market and advertise our business and the 12 Apostles Gourmet Trail. This helps us direct people to our website, where we provide some education on who we are and how our products are made. When we first started out we actually thought we’d offer more niche out-there flavours like blackberry and shiraz or strawberry and balsamic, but we did what every good customer-centred business should do and actually went out and asked customers what they would like to eat. It turns out most people like to stick to the traditional go-to flavours, like chocolate, strawberry and vanilla. While we started out with the basics, over the years we’ve played with a few recipes and found a good balance between traditional and unique flavours, like passionfruit meringue, which is always one of our best sellers. We also like to incorporate as much family tradition as we can in the business, and my grandmother was a great baker, so we do a lot of flavours that incorporate traditional baked goods like lamington or orange and poppyseed. Aperol is one of the new ice cream flavour trends we’re trying out this year too, so we’ll see how customers respond to that. Have you noticed the rise in popularity of customers opting to pay by card over cash? Absolutely, especially over the past 12 months. Customers now just assume that they can pay for anything with their card or phone, so it’s important for businesses to make sure they can accept digital payments. What advice would you give to others looking to build their own business regionally? The best piece of advice I can give to budding small business owners is to try to stay measured and calm. Don’t celebrate too hard on the big wins or stress out too much if something goes pear-shaped. 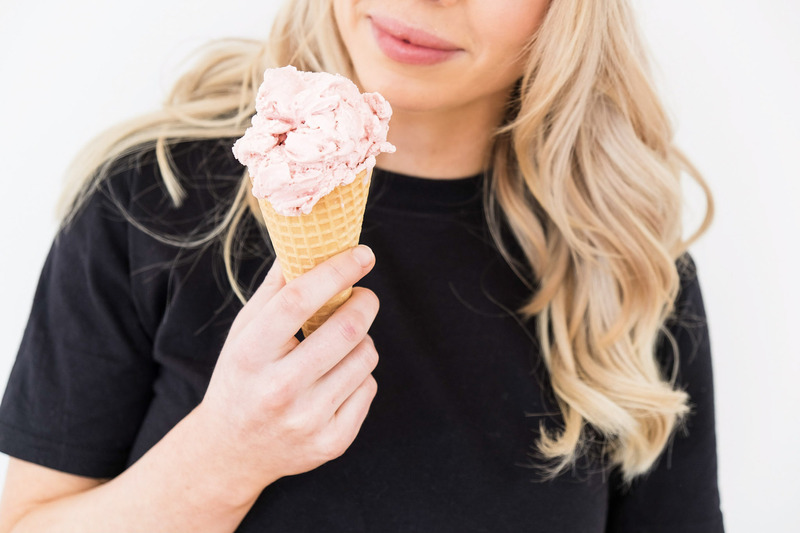 Starting and running a business is hard, no matter where you are, but if your product and service offering is right you’ll ride it out ok.
What’s next for Timboon Fine ice Cream? We’re looking to enhance the customer experience at our HQ by relocating our production factory to join the ice creamery in Timboon. This will complete our business vision of allowing visitors to enjoy the full ice cream journey from production to consumption!